Music SA has been delivering contemporary music programs in partnership with the music industry to secondary school students since 1990 with proven success. VET (Vocational Education Training) music qualifications allow students to expand their post-school opportunities in the music industry. Earn up to 70 SACE points per year, as well as a nationally recognised vocational qualification. Please note: Courses may not run if minimum enrolment numbers are not met. Music SA apologies for any inconvenience caused. *Certificate III in Music Industry is delivered under a third party arrangement with the College of Sound and Music Production (COSAMP) RTO Code: 41549. The AQF certification will be issued by COSAMP. Many Secondary Schools in SA are now delivering VET Music Programs, and there are excellent resources available. The cost becomes prohibitive however where there are only a few students who are wishing to engage with the program. The Music SA VET programs are perfect for schools where there are 1 – 5 students who are wishing to earn a VET qualification and where the school does not have the capacity to support these programs internally. Importantly, the Music SA VET program has direct links to the music industry, providing hands on experience, volunteer opportunities and networks that are not offered or available elsewhere. Why Should I Study VET? Studying VET while completing SACE can give students a head start in a career, by developing hands-on skills in areas of work and industry that are of interest. Once students have chosen the VET options, the school’s VET coordinator can help work out how many credits need to be achieved at Stage 1 or Stage 2, and how to claim them on completion of a VET course. Up to 180 out of 200 SACE credits can be earned using VET. Students can also focus their Personal Learning Plan and Year 12 Research Project on any chosen industry area. 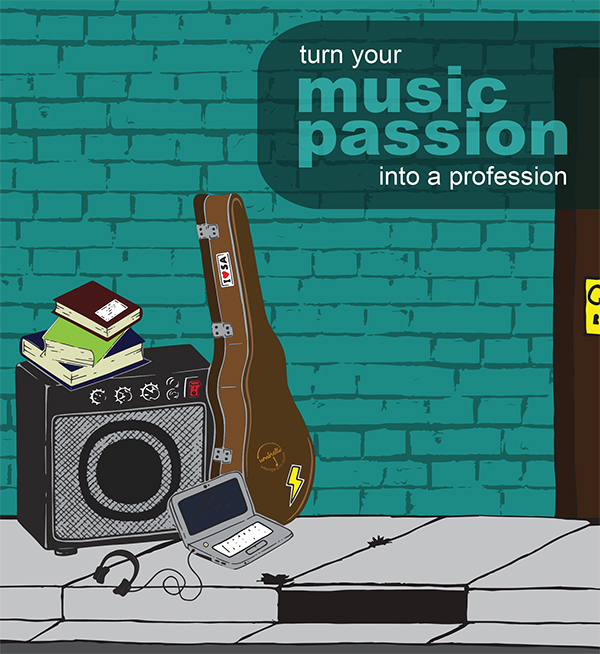 Serious about a career in the music industry?